2015 has been a year of contrasts for Chinese Taipei basketball, at least in terms of their men's and U16 teams. On the one hand, the senior side failed to make it past the first round of the 2015 FIBA Asia Championship in Changsha-Hunan, China. On the other hand, the country's U16 squad made history by finishing second at the 2015 FIBA Asia U16 Championship in Jakarta, Indonesia. Lin Ting-Chien is a fast rising young star in Taiwanese hoops. 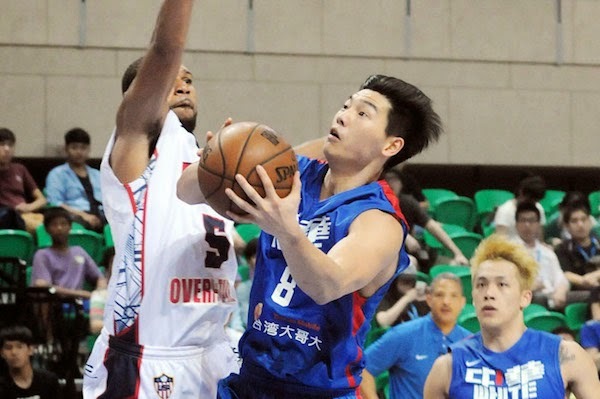 The Chinese Taipei men's team went into the 2015 FIBA Asia Championship with a lot of promise after playing really well in the previous edition of the competition in Manila in 2013 and finishing third at the 2015 William Jones Cup. With naturalized player Quincy Davis back in a team dotted with veterans like Tseng Wen-Ting, Lin Chih-Chieh, and Tien Lei - many of whom ply their trade in the Chinese Basketball Association (CBA) - the Taipei quintet bore heavy expectations going into Changsha-Hunan. Things turned sour quickly for them, however, after losing their first two contests (to Lebanon and Kazakhstan). They finished the first round with a 1-2 record which was just not good enough to advance to Group F. The Taipei dribblers were then relegated to playing minnows Singapore and Kuwait en route to 13th place - the team's worst in tournament history. It was an unusual result to say the least, especially given how the team reached new heights in 2013 when they beat China and finished fourth right behind Iran, the Philippines, and Korea. It was proof, though, of what most Asian basketball observers already knew - Taipei basketball needed a big change. Veterans like Tseng, Tien, and Lin have torn through the Asian hoops scene for the better part of the past 15 years, growing up, quite literally, with every passing tournament. It seems, however, that they've finally reached the homestretch of their FIBA Asia careers. Lin, in fact, has stated that the 2015 continental tourney was his last for Chinese Taipei. The 33-year-old is looking to focus on his professional career in the CBA and will now open the doors for the new generation to gradually take over. It's also only a matter of time before other seasoned mainstays like Tseng, Tien, Chen Shih-Nien, Wu Tai-Hao, and even Quincy Davis hang up their sneakers. This is reminiscent of the early 2000s when Taipei's erstwhile star players - Cheng Chih-Lung, Lo Shin-Liang, and Wu Chih-Wei - gave way for then young bucks like Lin, Tseng, and Tien to take the reins of the national team. This time around, it seems like the new generation has arrived with a bang. 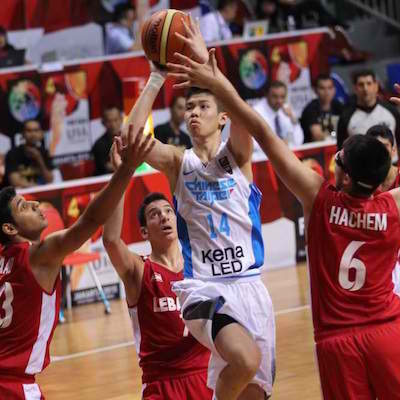 At the 2015 FIBA Asia U16 Championship in Jakarta, Indonesia, Chinese Taipei marched on unbeaten in their first eight games, defeating strong squads like Lebanon and Japan (twice) as they punched their ticket to the Final against Korea. The Taipei five led at the halftime break of that match before the dam broke in the third period in favor of the Koreans, who eventually pocketed their first Asian U16 crown, 78-69. Tang Wei-Chieh was a bright spot for Taiwan in the 2015 FIBA Asia U16 tourney. Despite the loss, the Taipei team turned a lot of heads with their steady play and imposing size. The wingman pair of Lin Ting-Chien (1.90m) and Tang Wei-Chieh (1.90m) were the team's most potent scoring weapons, while Chen Yu-Wei (1.83m) and Wu Pei-Chia (2.05m) created a lot of mismatches in their respective positions at point guard and center respectively. The US-based Lin top-scored for Chinese Taipei with 21.9 points per game while also grabbing 5.1 rebounds and handing out 2.1 assists. This early, his is already drawing comparisons to another Lin - the aforementioned Lin Chih-Chieh - given his scoring and playmaking prowess. Tang, meanwhile, normed 19 points, 8.4 rebounds, 2.0 steals, and 2.9 assists per outing. He, too, looks polished enough to make an impact at the senior level sooner rather than later. Chen, for his part, has the skill and shooting to be a top tier floor general while also possessing the size to tower over most other point guards his age. He led the team with 6.6 dimes per contest - a good sign that he may be a viable replacement for iconic Taipei playmakers like Lee Hsueh-Lin and Chen Shih-Nien. The twin tower combo of Wu Pei-Chia and Jonah Morrison (2.02m/6ft 8in) should also be closely watched. Wu put up 8.8 points and 9.3 rebounds per game on top of 3.6 blocks, while Morrison, who missed the entire tournament because he injured his foot days before they flew to Jakarta, is also highly-touted and considered to be among Chinese Taipei’s top high school talents. 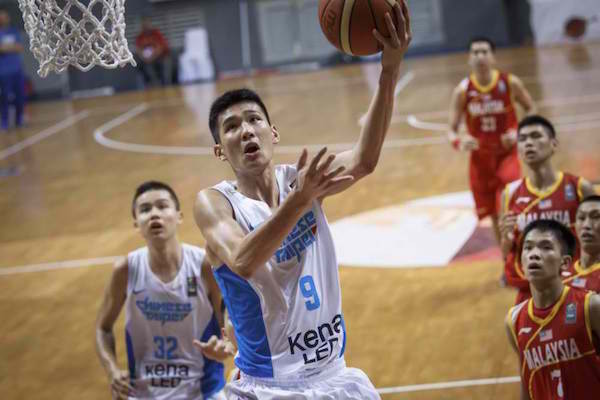 At 6'9, Wu Pei-Chia looks to be one of Taiwan's star big men in the near future. With this promising crop of youth talents, the future of Taipei hoops looks secure, especially when one considers that rising stars based in the Super Basketball League (SBL) and based abroad (e.g. Chou Yi-Hsiang, Hu Long-Mao, and Chen Ying-Chun) are also set to move up. 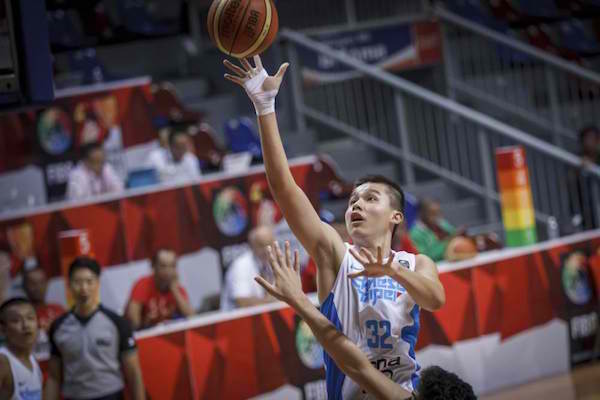 For sure, Chinese Taipei hoop nuts need not worry despite their team slipping at the senior level, since the next generation is set to push the envelope and usher in a new generation of promise. US-based Kevin Hu (Hu Long-Mao) is a veteran of Taiwan's B Team and should move up to the A Team very soon. Unless otherwise specified, all images are from FIBA.